You can reset your password at any time by selecting 'Forgot Password' from the Social Tables Login page. Simply enter the email address you use to log in and click Reset Password! 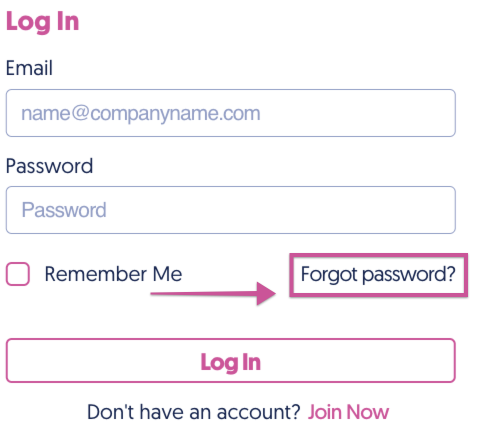 You will receive an email from mailer@socialtables.com with a link to reset your password. If you have not received the email within a few minutes, check your Spam folder. If it's not there, reach out to support@socialtables.com or use the Contact Support link at the bottom of the Help Center. You can also change your password after you've logged in... select the dropdown with your name located in the upper-right and select Change Password.